This is my last two days in Barcelona, if you would like to read about day 1+2, click HERE. This was the most anticipated day of the trip, going to PortAventura. It is the 6th most visited Theme Park in Europe. I am not a rollarcoaster person but I enjoyed the day there. We arrived as the park opened at 10 am and were set free until 7 pm. The park has 4 lands Far West, China, Mexico and Polynesia, in each section there was different music, gift shops, buildings, rollercoasters and food which made it so interesting. I loved looking around at all the buildings. I'm not much of a rollercoaster person but I ended up going on Furius Baco. At first, I thought I was going to die and as it goes to 83.9mph/144kmph in 3.5 seconds. I finally decided to open my eyes and it wasn't as bad as I originally thought, you go around a few loops and the grand finish is when it goes to a halt before slowly going back to reload. I was a bit scared after getting off it, mostly because I ended up getting stuck, the chair just wouldn't let me go, it took a minute or two before I could finally get out. Other things I ended up going on were Grand Canyon Rapids (water course), Serpiente Empumada (spinning), Tea Cups, Kontiku (Rocking boat) and Ice Age The 4D Ride. I know that doesn't seem like a lot but when you are wondering around all day, it's enough anyways I wouldn't dare go on Dragon Khan or Shambhala. The day was so enjoyable as we got to see 2 shows and the final parade which was cute. We went back to the beach that evening, I still didn't dare go fully into the water as it was cool but I did put my feet in. Today, was the last day and I wasn't prepared to go home yet, well I'm still not and I've been home for nearly 2 weeks. 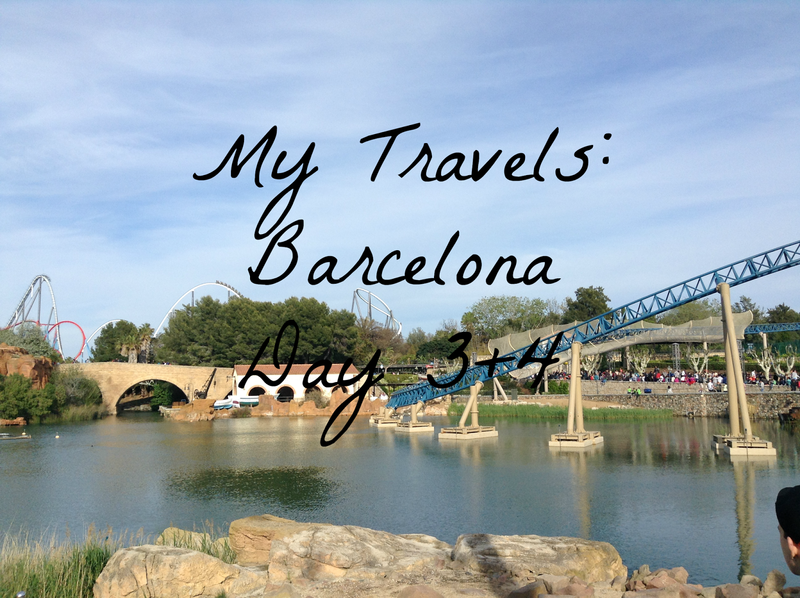 We left the hotel and went straight into Barcelona's city centre to The Museu Picasso, we had the option of going shopping or going to the museum but I picked the museum as you can go shopping anywhere. I found the Picasso's work very interesting, we didn't get a guided tour but one of the teachers was an art teacher and she told us all about his works. Unfortunately, we weren't allowed to take photos, so I have no photos of this fabulous building. After getting lost on the way back to the bus. We went to Sagrada Familia, which is a huge basilica that is still being built after 134 years of construction. It is so beautiful and pictures can not show how beautiful it is. It is set to be finished in 2026 as it is the 100th anniversary of Gaudi's death. Gaudi was the main architect of the Sagrada Familia. That was it.... 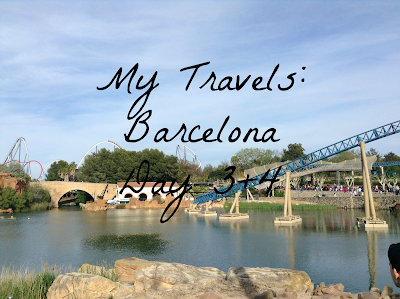 I didn't want to say goodbye to Barcelona just yet but as we headed for the airport there was nothing I could do. I always wondered why TYs from my school would make such a fuss about their foreign trip but I now know why, it was so enjoyable, I feel like I have bonded with my year and the amazing teachers that came with us, the places we went to were amazing. In my mind I'm still there, having octopus and shrimp for dinner, trying to communicate with people who spoke no English and I no Spanish, having fun in PortAventura. I had never been to Spain before but this trip has left an impression on me. PortAventura is so great! Did you take the hour long train ride there? It's so amazing! They have Europe's highest rollercoaster, and I went on it 3 times,haha. La Sagrada Familia is truly breathtaking, and I definitely want to see it when it's finished. I am glad you had a good trip! No, since it was a school tour we got the bus and we were still in Salou so it was only 10 minutes away. Thanks for commenting Christina! Thank you for commenting Frances!